Treat this card like cash. 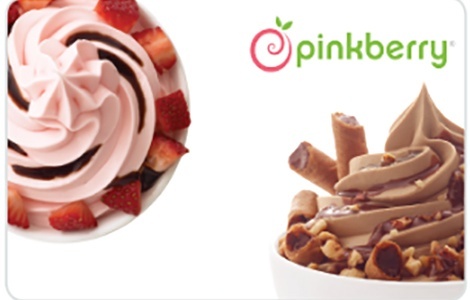 Reload your card or check card balance at participating stores or at pinkberry.com. Good at participating Pinkberry locations in the u.s. only. Card must be registered to receive rewards. To register this card, to check your rewards balance and update your personal information go to pinkberry.com. Card cannot be redeemed for cash unless required by law. Complete terms and conditions available on our website. Use of this card constitutes acceptance of these terms and conditions.